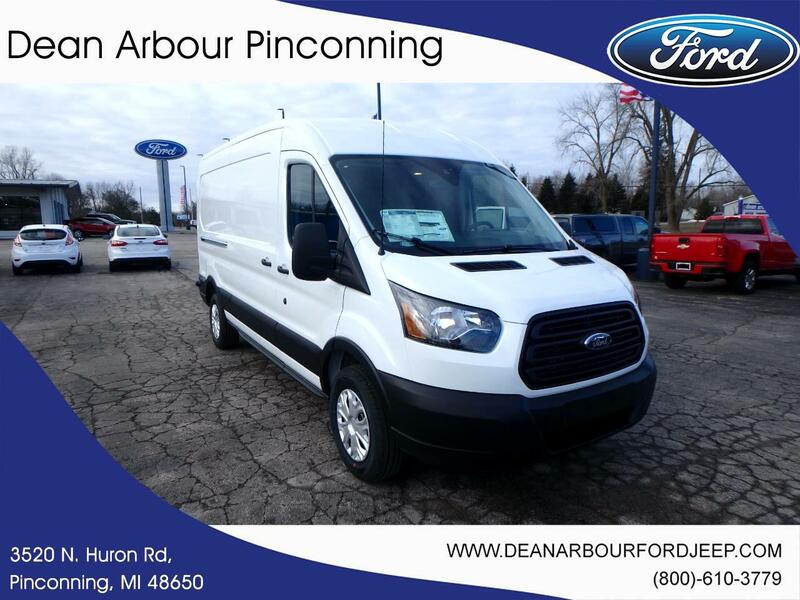 This new 2019 Ford Transit Van in Pinconning, MICHIGAN offers drivers advanced safety features. Its a v6 Oxford White van that can get the job done. Contact Dean Arbour Jeep Eagle to learn more about the 2019 Ford Transit Van.